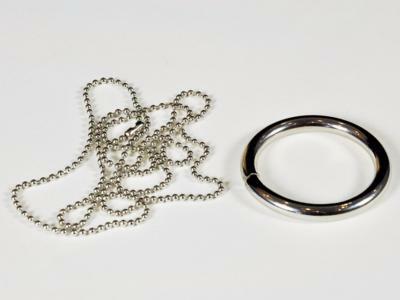 A little trick that seems like magic...A metal chain, and a solid metal ring. Hold them up with the chain inside the ring. 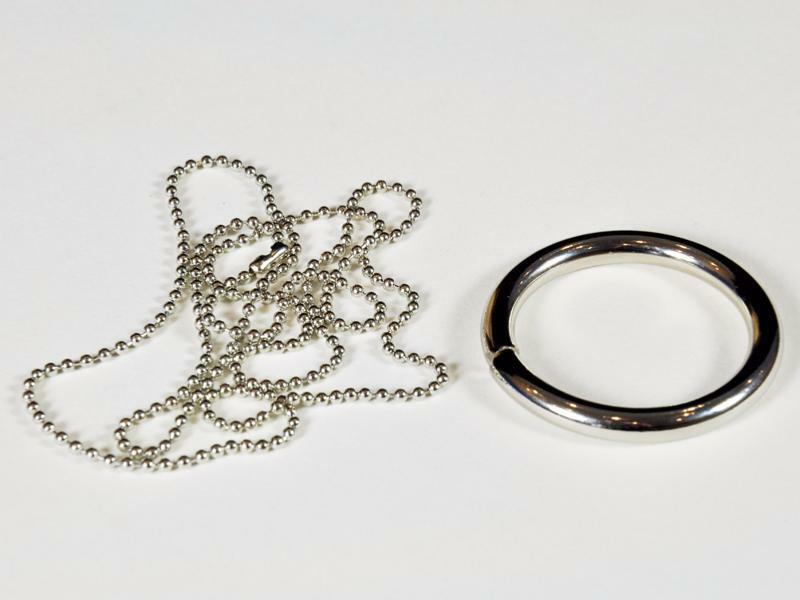 When you drop the ring, instead of it just falling on to the table, it ends up being caught in a knot at the end of the chain. Neat! I've been looking for this trick for some time & at last I have it. Strangely clever.